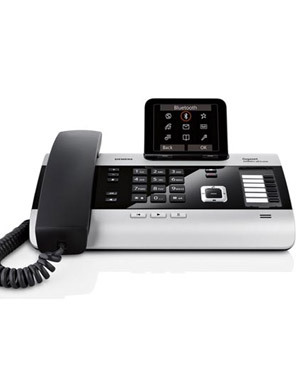 Ideal for small and home offices, the Gigaset DX800A multiline desktop phone is built with comfort and convenience as its foundation. With all its executive and business functions that could benefit enterprises, the desktop phone have excellent features that it can boast about. Its conveniences comes from several forms like the synchronization of the PC to the contacts of Outlook. Details can also be easily located with the Auto Look-up feature. The hands-free Gigaset DX800A offers HD sound quality to every call it makes. It is radiation-free and energy-saving too, making it environment-friendly. This phone system is very ideal for small, remote and home offices because it has every communication tool necessary for the enterprise. For the VIP entries, pictures and a specific ringtone could be assigned. The address book’s 7 fields are name, surname, 3 numbers, anniversary and email address. The email notification has subject, header, time and date, and beginning of the message. And finally, the Info Services have RSS feeds, Weather Forecasts and various news topics. Having a small or home office can be inconvenient considering the fact that no one can setup your own communication system but you. In this case, the Gigaset DX800A is the best solution to all small and home offices. Capable of managing all messages in one section and providing an address book with up to 1,000 vCards, it can be linked to the user’s Outlook. Gigaset DX800A provides access to a Yellow Pages Search and online net directory, which can be very advantageous in locating for details of other businesses, in addition to the Look-up feature. The Gigaset DX800A has a large color display, as well as other excellent features like weather forecast and RSS new feed. Its email notification includes the details of the sender and the message, which are the subject, time and date. The best thing about it thoufh is the Link2Mobile Bluetooth technology. 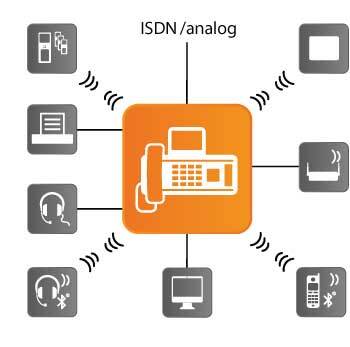 This technology enables receiving mobile calls by using the all-in-one device. 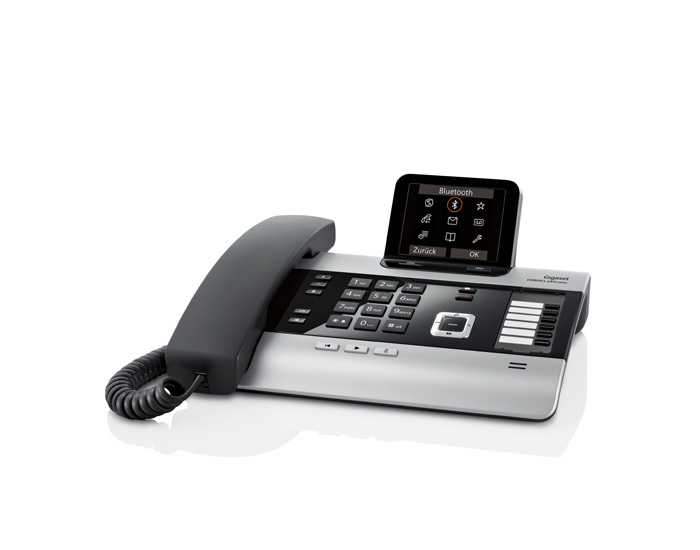 The Gigaset DX800A is more than just a purchase, it is an investment for the future. 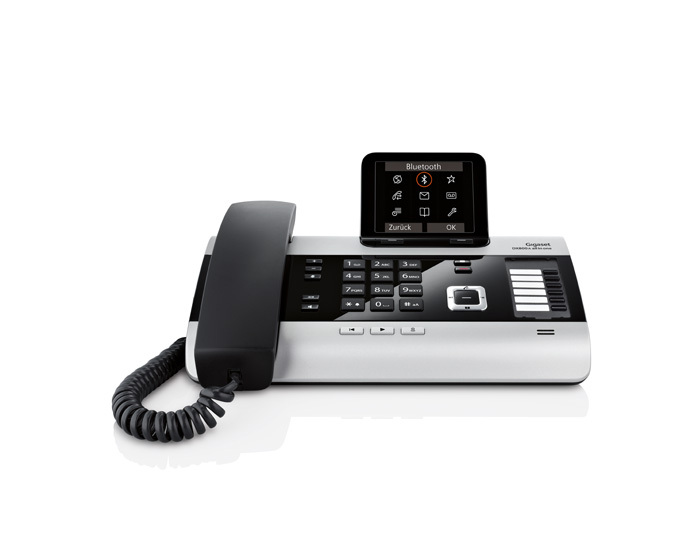 Since it is a hybrid desktop phone capable of having room for growth or expansion. More than just being ready for the next generation, the phone system can be configured as a regular fixed line with VoIP or ISDN and VoIP, depending on the users’ communication needs. In fact, the system could be reconfigured again and again, whenever it is necessary. And since it is a multiline telephone can support maximum of 4 calls in parallel 2, which makes it perfect for bustling and lively environment. The all-in-one Gigaset DX800A has three separate answering machines. All in all, the machines can record maximum of 55 minutes. More room for the messages means that users will not run out and will not be cut short. Users can simply look at the large TFT color and find out if there are messages waiting for them or not. And the best part about the Gigaset DX800A is that the device can even record calls for its users when needed. The Gigaset DX800A has a power supply that is energy-saving. It is capable of consuming less electricity when in operation, which saves a lot of money and help the environment. One of its energy saving feature is its time-controlled night mode, which switches off its display when not in use. 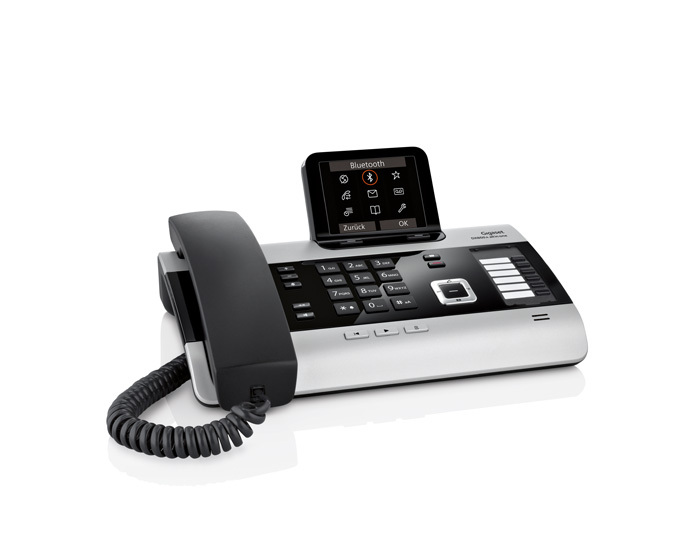 The DECT power is also switched off when there are no cordless handsets are used. But when there are handsets registered, the distance of the handsets would tell how much transmitting power is generated. And with the ECO mode, the transmitting power will be reduced by 80%. There is also the radiation-free ECO Mode Plus, setting the handset in standby. Well-known as Siemens Home and Office Communication Devices before, Gigaset AG is a premier company in the telecommunications industry, especially in Europe. With the company’s headquarters located in Munich, Germany, Gigaset AG operates in almost 70 countries employing 1,400 employees all over the world. In general, the company is capable of providing a full telecommunications package, from the device itself to the solution that is compatible to it, and as well as tools necessary to make everything work out better and maximize its use. 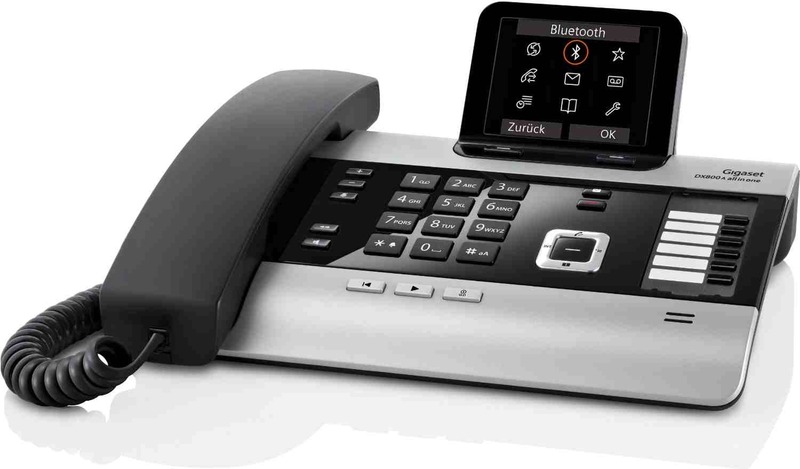 Gigaset AG uses the name Gigaset Pro for its telephony solutions, considering the businesses which are ranged from small-sized to medium-sized. A lot of its products are also named with a different branding d depending on the product and the service it offers. Telephonesonline Pty Ltd is the largest equipment supplier in Australia that offers pre-owned and refurbished handsets. With a lot of advanced and expensive devices and solutions in the market, Telephonesonline offers what most would not want to offer. The company offers high quality phone systems without the downside of emptying the pockets of its customers. Telephonesonline offers refurbished handsets from several brands, including Samsung, Panasonic, Nortel, NEC, LG Aria, Hybrex, Fujitsu, Ericsson, Coral Tadiram Telecom, Cisco, Avaya, and Alcatel. The company’s extensive portfolio on its refurbished items is the reason that makes it the best supplier of refurbished devices. Telephonesonline conducts and closes their sales operations online. Their delivery though are prompt and fast with the help of its warehouses all over Australia. One of which can be found at 6 Nunney Place, Carindale QLD 4152. All deliveries can be made wherever the customer may be in Australia and for free.